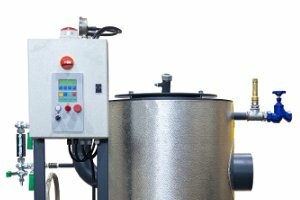 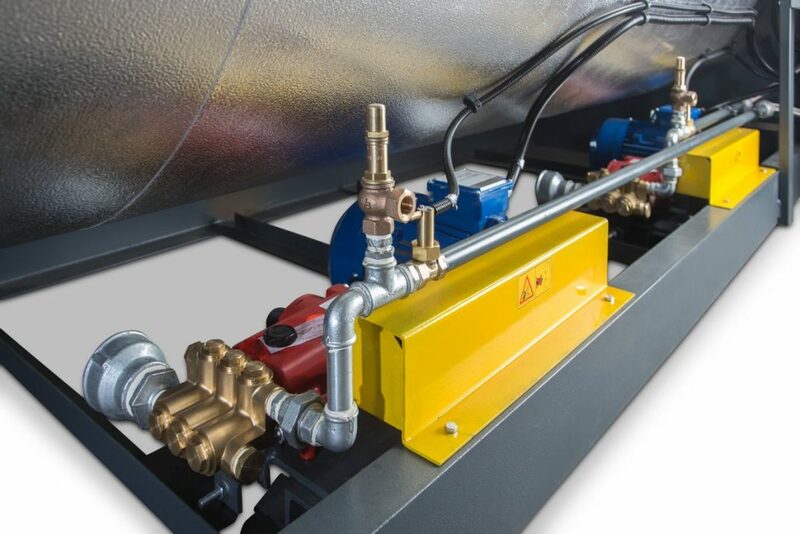 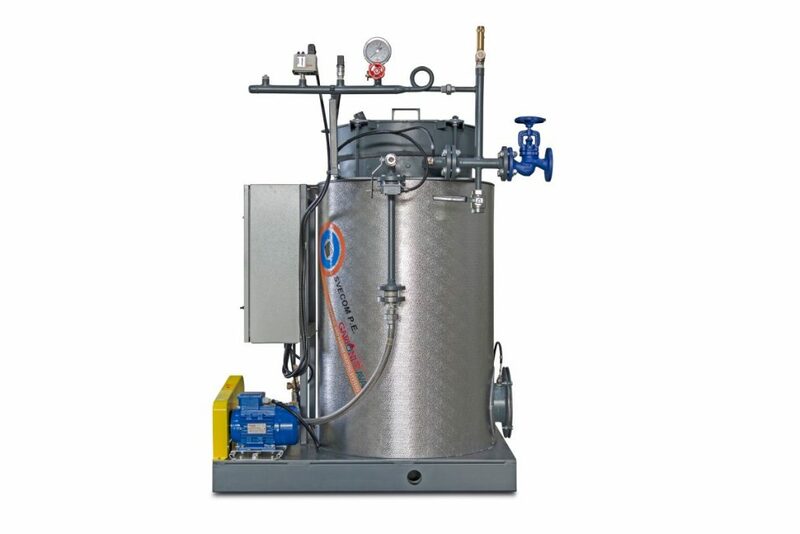 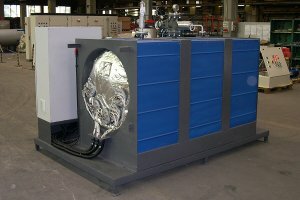 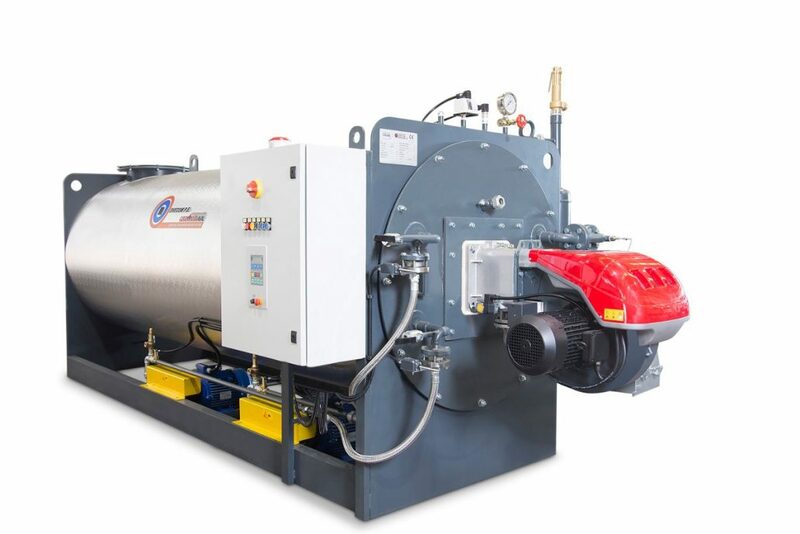 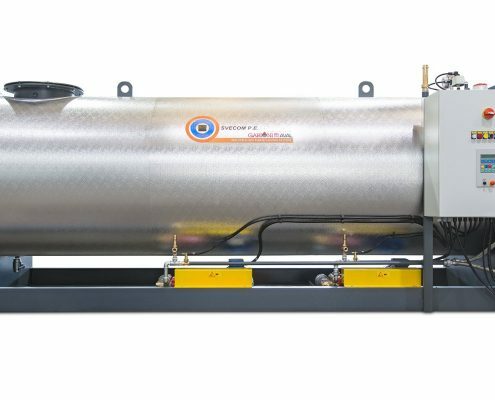 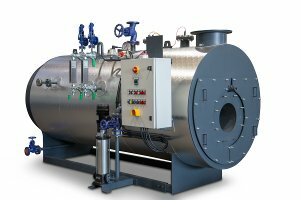 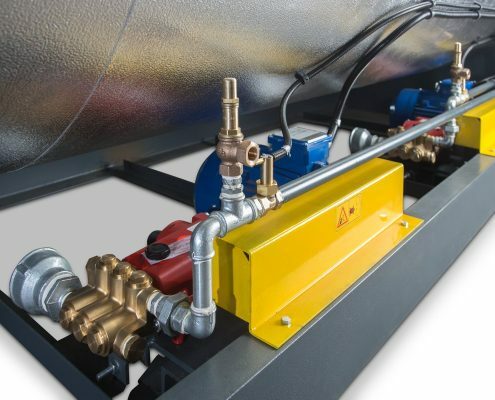 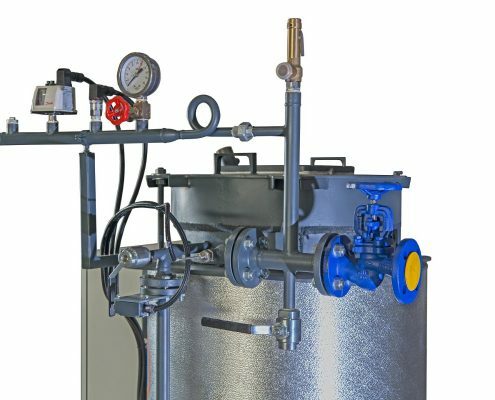 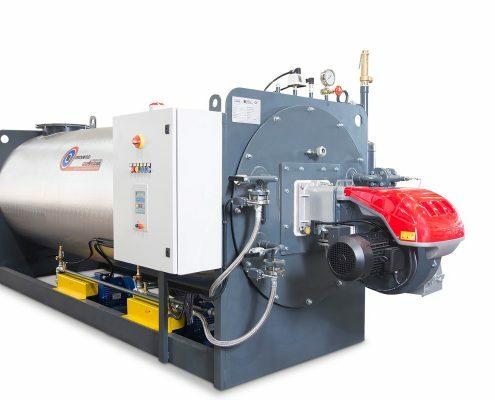 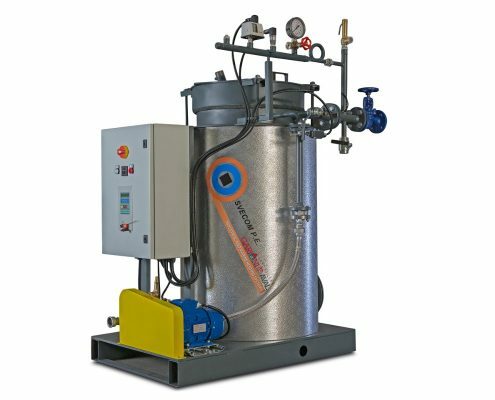 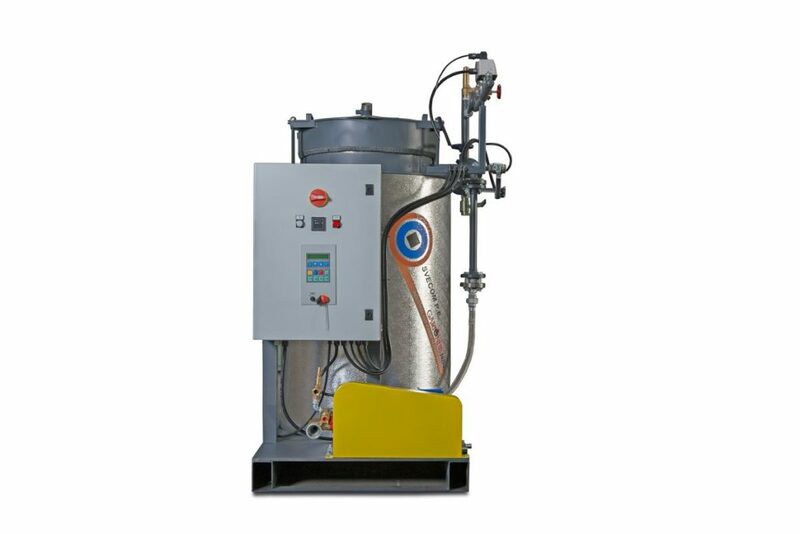 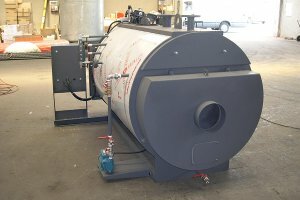 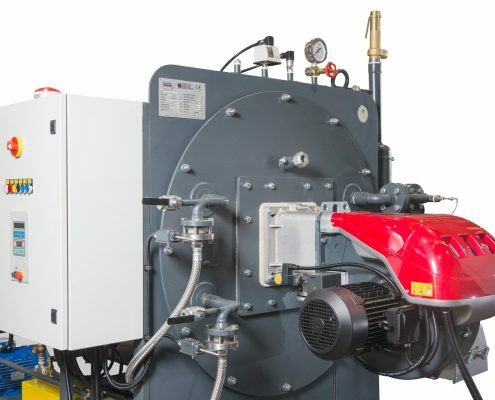 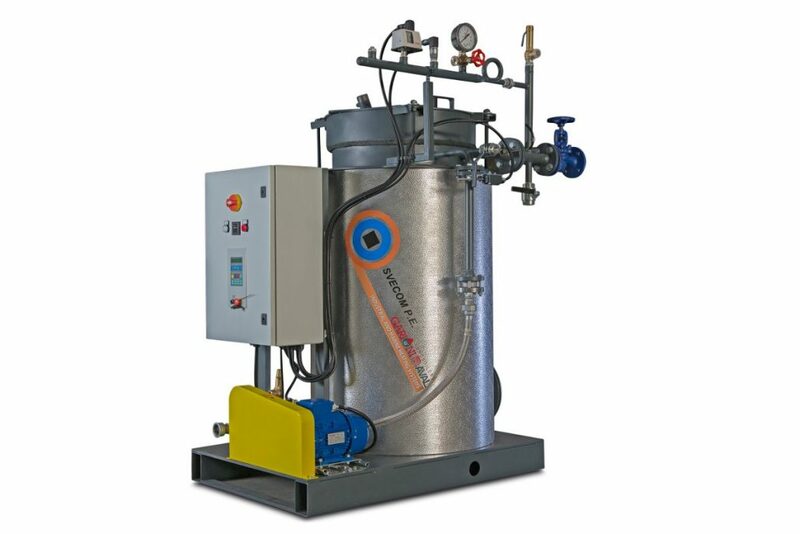 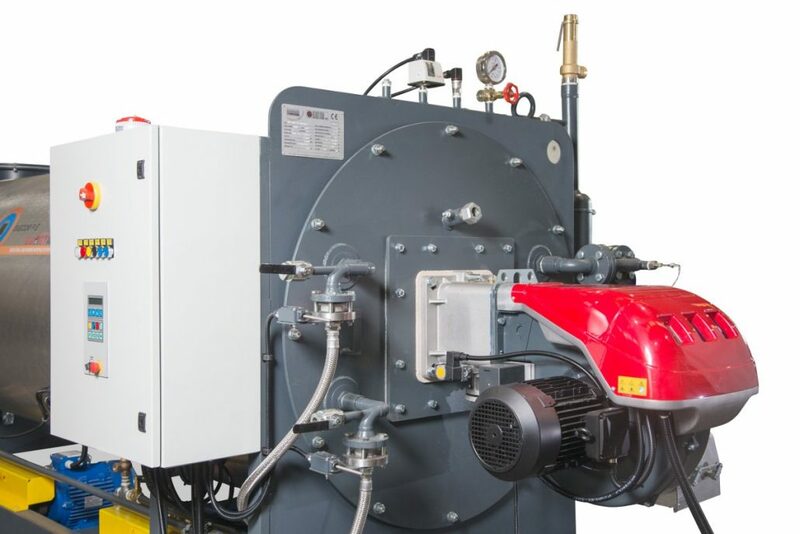 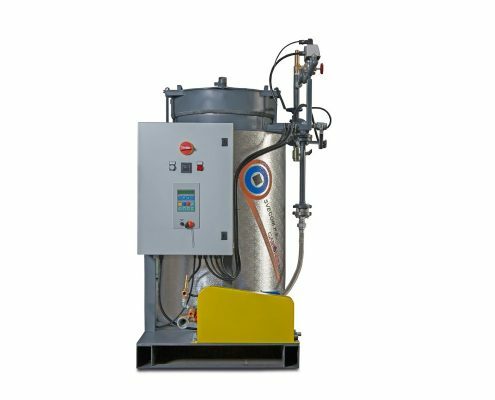 The horizontal GMT and vertical GMT/V steam generators are once-through coil boilers. 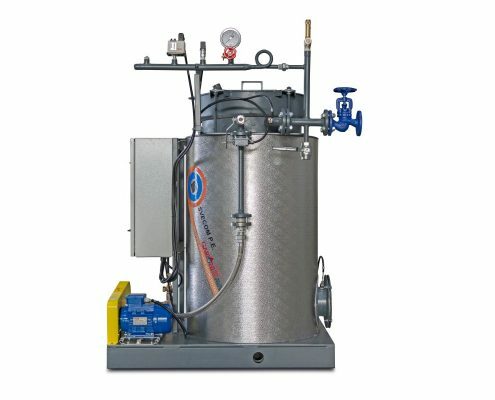 The exchange of heat between water, steam and combustion products, the relative turbulent regimes, the fluid velocities kept as constant as possible by varying the passage sections, allow to obtain a particularly effective thermal exchange. 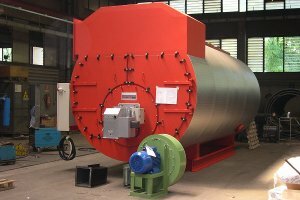 The thermal load in the combustion chamber is on average below 2,000,000 calories per cubic meter, the specific production (kg of steam per square meter of heated surface) does not reach 70 Kg/sqm. 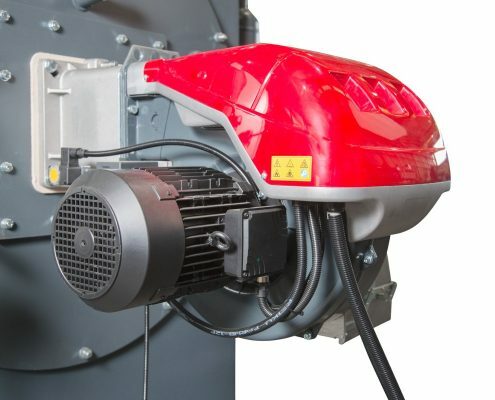 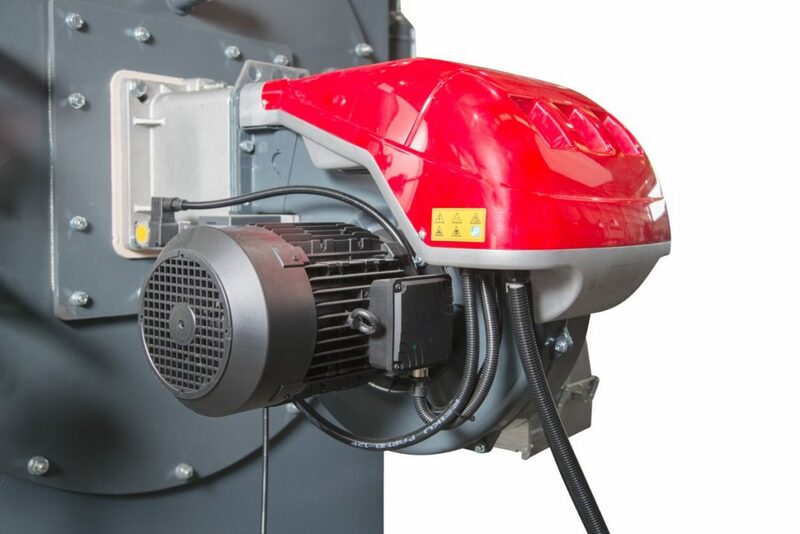 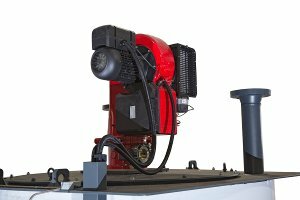 For installations in Italy, the GMT and GMT / V generators up to size 200 are excluded from the field of application of the UNI-TS 11325 and are exempted from the continuous presence of the licensed driver according to article 29 of the D.M. 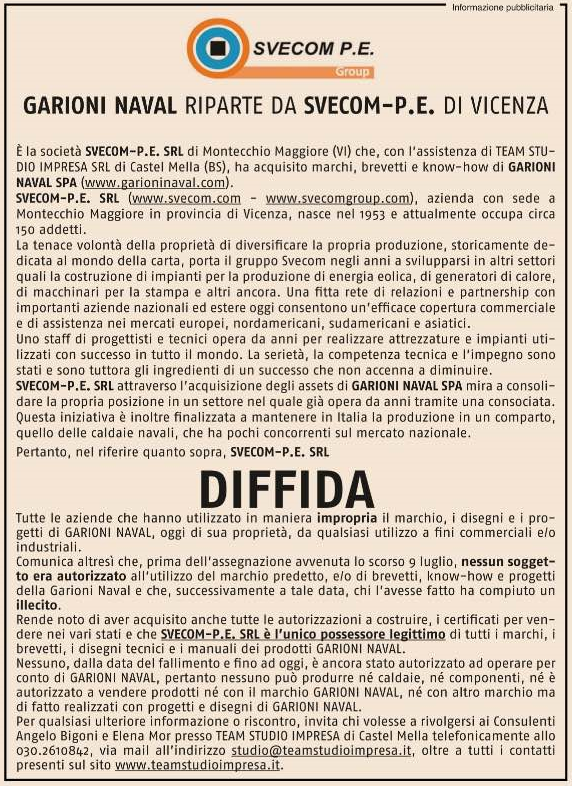 05/21/1974. 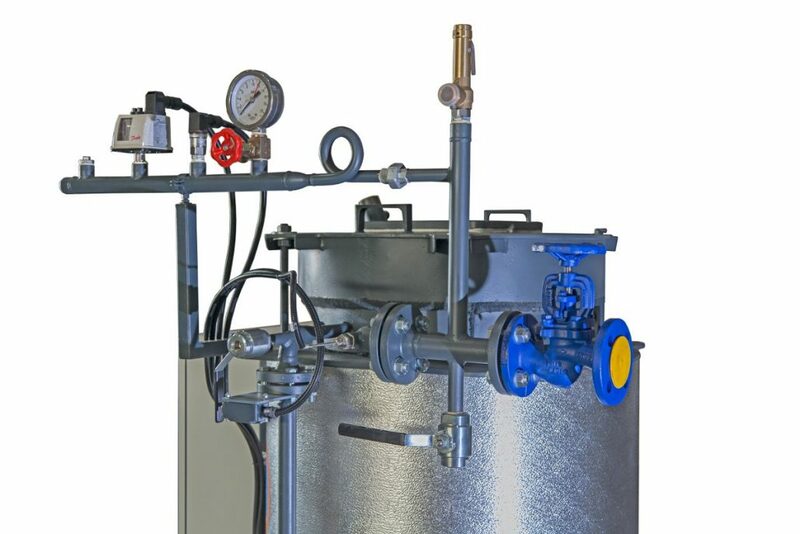 For higher sizes it is possible to provide the configuration suitable for operation without supervision for 72 hours. 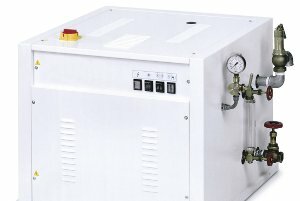 If necessary, for example in the case of installation of European countries other than Italy, this configuration can also be provided on smaller models. 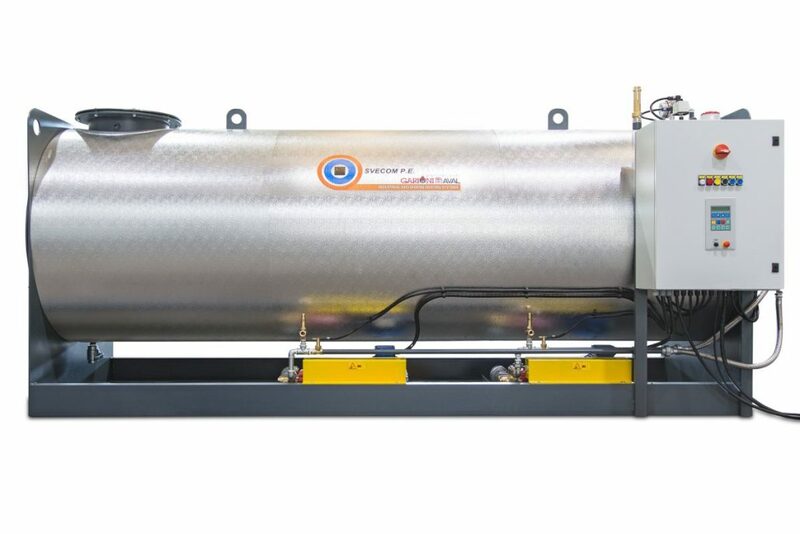 Maximum power in minimal space, very compact design, high performance, are the peculiar characteristics of these generators that can work both with two flame burners and with modulated regulation.